If you’re a parent, chances are you hear the word ‘no’ a lot. Why do kids say no? Because they want to be the boss of their own bodies and lives! Why do parents struggle with the word ‘no’? Because they want to be the boss of their children? Maybe. We’re sometimes rushed or stressed or tired and we just want to get.things.done. And so hearing a ‘no’ in the face of that can be frustrating! We don’t have time for this! Can you just do it! So what do we do? Try to control more, try to coerce, try to force…all the while making things more of a struggle, more difficult, more unpleasant. Slow down a minute. ‘No’ is not such a big deal. Actually, ‘no’ is kind of an opportunity! No is a great word! So many adults struggle to say ‘no’ fearing social awkwardness, conflict, disconnection, or offence. They can end up overcommitted, stressed, frustrated, resentful, or taken advantage of. ‘No’ is also a really important word to be comfortable with from a safety perspective. We want children to know that they have the right to say ‘no’, that they get to make the choices about their own bodies, and that no one should override that. 2. Do you accept their ‘no’? 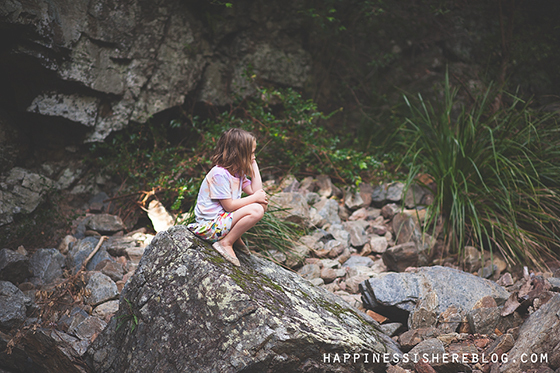 What do you do when your child says ‘no’? Do you react with anger or annoyance? What are you modelling for them? 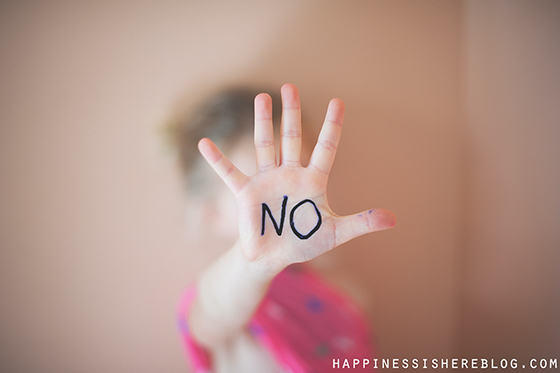 What will happen when you have to say ‘no’? What if they react the same way? 3. Are you engaged in a power struggle? Does your child really want to say ‘no’? Or are they looking for any opportunity to have some real control over their life? Consequently, missing out on also having their real needs fulfilled in this situation, creating more disconnection. Are you trying to overpower your child? Or foster a respectful and equal relationship that doesn’t include power struggles? Moving towards an unconditional and equal relationship where you can both get your needs met is immensely beneficial! You can read more about that here. 4. Are you being unreasonable? 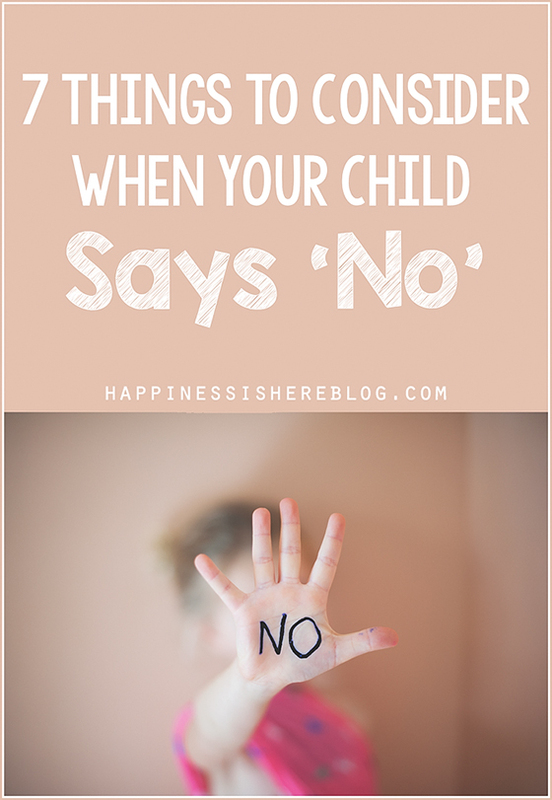 Most people will tell you that if you are hearing ‘no’ from your kids, you just need to be a bit more clever about how you ask. Maybe give them two options so they feel like they are in control, but aren’t really. A rather patronising approach. Let’s instead dig deeper into the real issues. We could consider if there is anything that we can change. Are we being reasonable in our requests? 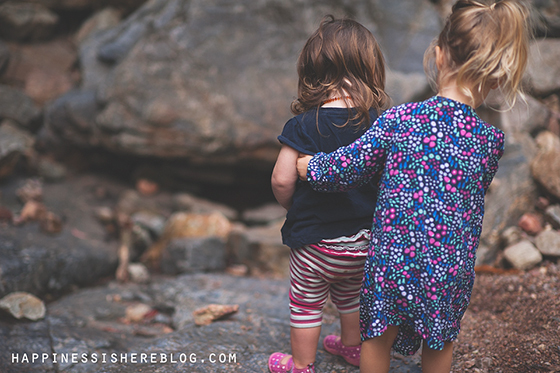 Kids are perfectly able to make many decisions pertaining to their own bodies and how they spend their time. Is what you’re asking reasonable? Are you trying to control things that are not yours to control? Would it be the end of the world if your child didn’t comply? Is there another option? Hearing ‘no’ is often frustrating because we assume it is the end of a conversation. That children have made up their mind and that now we will either have to accept their ‘no’ or force them to comply. But these are not the only two ways! We can simply continue the conversation, starting with empathy and hearing their ‘yes’ instead of ‘no’. When they are saying ‘no’ to something, what are they saying ‘yes’ to instead? Instead of hearing the no, empathise with the yes. When children feel heard and understood, then they are more able to hear our concerns and we can work out a solution that meets everyone’s needs together. There is a fabulous example of this type of conversation here. 6. Are you making demands or requests? There is little room for demands in parenting, although the way that most adults speak to children is in direct opposition to this belief. Most people believe it is their job to tell kids what to do, or ‘teach them a lesson’. But no one responds well to demands, and they do not foster a connected relationship. Instead of demands, make requests. The difference is being happy for the child to respond with either a ‘yes’ or a ‘no’. ‘But there are some things I need my kids to do!’ I often hear. That may be true, and in the case of keeping a child safe where a quick demand is needed, then definitely do that! When immediate compliance is needed they are more likely to listen to you if you’re not overusing demands regularly. In everyday situations, I would encourage you to reconsider if demanding your children do things is really necessary. Do you find frequent demands necessary in other relationships in your life? 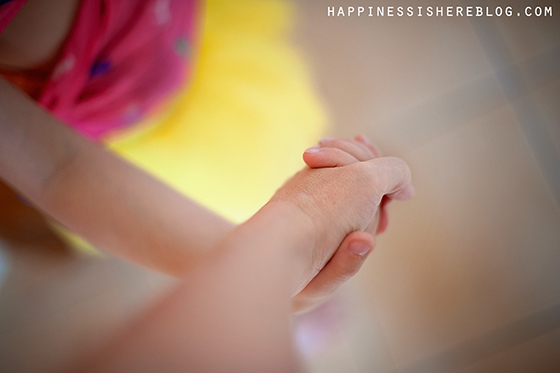 Even if you really need a child to say ‘yes’, remember that ‘no’ is not the end of the conversation. If they do say ‘no’ you can empathise and express your needs further until you come to a solution. Hearing ‘no’ often ends up being very disconnecting because people get frustrated and angry just trying to get their needs met. But ‘no’ really can be an opportunity for connection. Every time you successfully empathise and work out mutually beneficial solutions, your connection grows stronger. It may take more time, patience, and understanding, but it is so worth it. And the more you practice, the easier it gets! ‘No’ is not a bad word, a problem, or an emergency. ‘No’ is an opportunity. Welcome it! http://teachertomsblog.blogspot.co.nz/2010/02/clean-up-time-its-not-my-school-its.html hey Linda have you read anything from Teacher Tom? He has some great idea’s on what you can try. Thank you for writing this! As with many of your posts, perfect timing!! We’re going through this challenge with our 3 year old and your insights are very helpful. I actually wish I would have told you sooner how much your posts have helped my family tie the bow on our decision to unschool and connect on a deeper level. 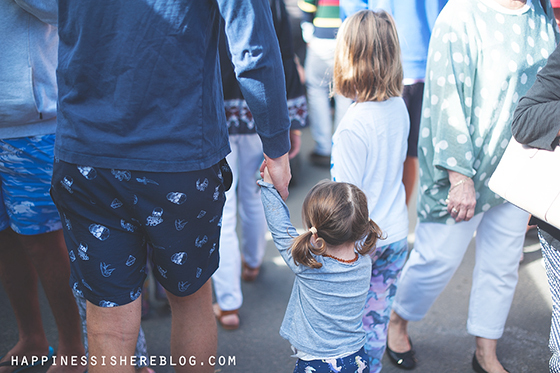 I cannot put into words how thankful I am to have come across your blog. Sara thank you for sharing! What a lovely article and the photos are amazing too! I love how you put together these information on “7 Things to Consider When Your Child Says ‘No’”. Easy to read, very relatable and great tips! Can’t wait to read more! Really excellent stuff here. Thank you for all of your inspiring posts! Pingback: How We Can Protect & Respect Children’s Rights?